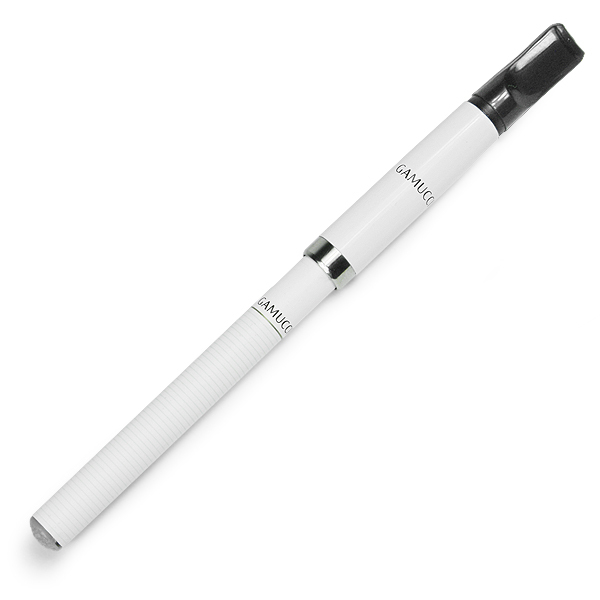 Gamucci is a rechargeable electronic cigarette. It is a completely non-flammable product that uses state of the art sophisticated micro-electronic technology to provide users with a real smoking experience without the tobacco and tar found in real cigarettes. It looks like, feels like and tastes like a real cigarette, yet it isn't. It is so much more. It is truly a healthier and satisfying alternative. Join the revolution today. The Gamucci Electronic Cigarette does not produce any second-hand smoke to others nor does it cause harm to the environment. It doesn't need to be lit and therefore there is no fire risk. This product can be used safely in most public places. Gamucci only produces a harmless vapour. Unlike nicotine gum or the nicotine patch, the e-cigarette actually functions much like a regular cigarette. However rather than burning and smoking, it vaporises. The nicotine is still delivered to the lungs, but in vapour form, rather than smoke which contains all the cancer causing toxins. Gamucci contains only water, propylene glycol, nicotine, tobacco scent and a membrane to suspend the ingredients. The vapour like smoke that is released from the Gamucci is simply condensation that evaporates into the air within seconds, not unlike the functioning of a humidifier. Gamucci leaves no visual residue in the air. The Gamucci does not release harmful smoke but rather condensation so it can be used in public areas, restaurants and offices where smoking is prohibited. Do not be surprised when people ask about you smoking Gamucci - to the casual observer Gamucci creates the appearance of traditional smoking! One Gamucci cartridge is equivalent to approximately 20 traditional cigarettes, and the battery lasts approximately one day with normal use.